Tuesday Tips with Charlene, we hope, will help your everyday life – which would give you more time to focus on fun stuff, like planning your next Disney trip! Don’t sweat the small stuff! Have an idea for us to cover for Tuesday Tips? Send us an email or leave a comment below! We all have places to be, kids to cart around, and laundry to do. What if meals didn’t have to be such a stress factor? It goes a little like this…spend some time on Saturdays making your menu for the week. Write it down and make a plan. From there, you make your shopping list and hit the town. 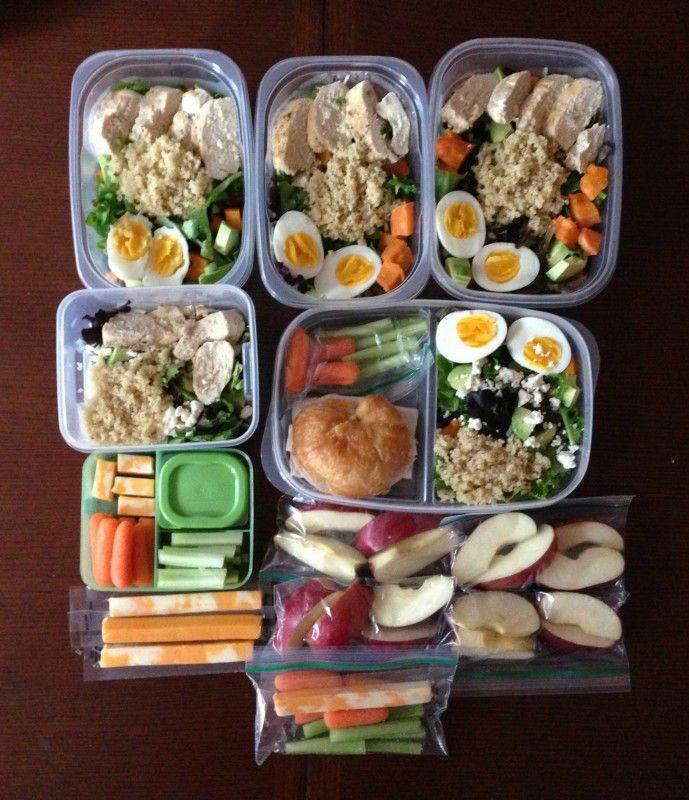 Set Sundays aside for prepping food in advance for your week. Make a big salad. Put several chicken breasts in the crock pot to shred and use for salads and wraps. Roast a few pans of veggies. Make a batch of quinoa. 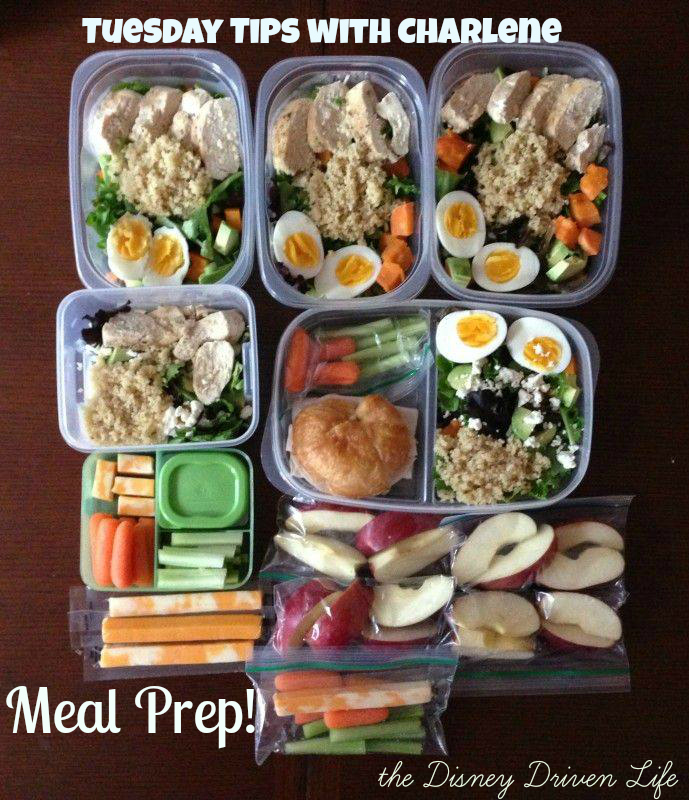 All of these foods can be portioned out for lunches and/or dinners throughout the week. Planning out your meals in advance helps simplify your life and saves time during the week. Try out this complete menu, with shopping list – and let us know what you think! SO I DON’T HAVE TO STRESS ABOUT MY NEXT TRIP?